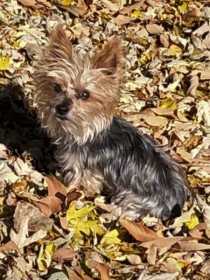 Mac was lost on March 12 around 68th Ave and Zenobia St in Westminster. He is a 12 year Yorkie. Mac is the runt of the litter, only 4 lbs.